Forgive me for a moment while I make an incredibly broad and general statement — the sort of simplistic statement I usually complain about when made by other people. But I’m not other people, and I need a hook for this article. Don’t worry. If I can’t make it stick, you’re welcome to point out the flaws to me in the comments section below, or on Twitter, Facebook, or LinkedIn. There are two types of social networks — sharing tools and content tools. Sharing tools are the classic social networks: We share updates, ideas, news, links and content of all kinds — but the content is largely created elsewhere. We upload videos to YouTube, post blog links to Twitter, share family photos on Facebook, and so on. Even some niche networks fall into this category, so this isn’t about size or whether a network is mainstream. A Yammer network of 100 wedding planners can work in exactly the same way as Facebook, only the scale is different. Then there are content tools: Although these share many of the same features as the first category — user profiles, follows, “likes,” etc., — the primary functionality is the creation of social content to be shared across those other networks. Who doesn’t immediately share their Vine videos to Twitter and/or Facebook? Relying on Vine alone to get your six-second video to the masses would completely miss the point of why Vine was created in the first place. Vine is meant to create content for those other networks. The point of these social media content tools is not to spend three weeks plotting a highly strategic piece of content, then spend lengthy production time with multiple drafts and arguments with the art director in search of perfection. Rather, content created on Vine or Instagram should serve as the in-between meal snacks that keep the ravenous beast of social media happy for just a little longer. There are some fantastically creative uses of Vine out there. But the secret is that each of these has an extremely simple premise behind it. Choosing to create content using Vine’s linear shoot-and-stop approach means you can’t be too fussy about editing and production values. 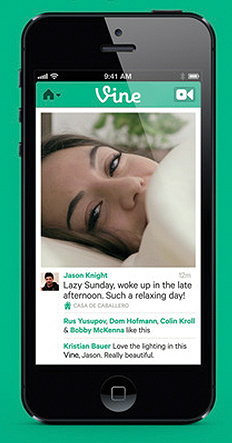 Part of the charm lies in Vine’s content looking a little homemade or imperfect. Inspiration is more important than perspiration. Similarly, when Instagram announced its new 15-second video feature in June, there were plenty of comments from marketers that it seemed a perfect length for sharing short TV commercials. There is more to an effective social media content strategy than just hammering an audience into submission with calls to action. Build your audience by having fun with them. Be interesting, entertaining, and relevant. Hashtags may have started on Twitter, but they have become the glue that brings these social content tools together. Even Facebook finally succumbed. Hashtags work just as well on Vine, Pinterest, Tumblr, Instagram, and others, which provides some interesting possibilities. Instead of a single stream of tweeted comments, bring your event hashtag to life by encouraging attendees to tag photos and videos on Vine, Instagram, Pinterest, etc., before sharing to your main networks. Or, build a campaign around user-generated content. For example, Tiffany & Co. encouraged Instagram users to tag photos with #TrueLovePictures as part of its “What Makes Love True” campaign. 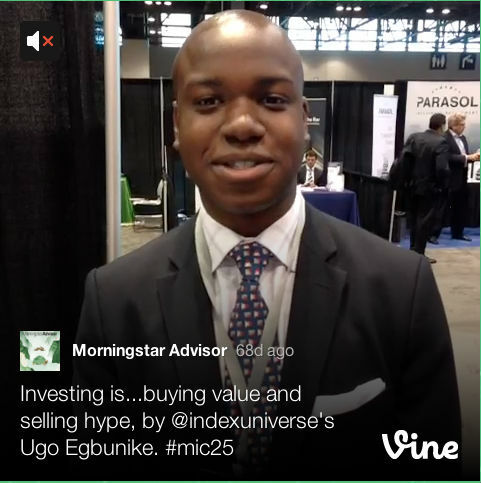 And take a look at how Morningstar leveraged Tumblr, Twitter, and Vine in tandem by asking its advisers to complete the sentence, “Investing is… ” and then using a conference hashtag to gain a following. No, you don’t need to develop a new Vine strategy or research Instagram influencers. Not yet anyway. An Instagram gallery is unlikely to drive direct leads or sales conversions by itself. But these social content tools are perfect for building an audience at the top of the sales funnel that is ready to share and interact with your next piece of strategic content. This article originally appeared in the August 2013 issue of Chief Content Officer. Sign up to receive your free subscription to our quarterly magazine.